After a blogger friend rated this book a five star and spoke in praise of it, I was intrigued. I hadn't even heard about this book until then. Suddenly there were a lot of friends on my Facebook timeline who were reading this book and giving it glowing reviews. Not one to fall for hearsay, I did my own research. Turned out, Rebecca was a best-seller and had sold 2,829,313 copies between its publication in 1938 and 1965, and the book had never gone out of print. But then again, almost every book is deemed a best-seller these days. But when I read the blurb, I knew that I had to read the book. Maximilian de Winter or Maxim, a 42 year old widower marries a young girl in her 20s after a very brief courtship. He then takes her to his mansion in Cornwall, the beautiful West Country estate - Manderley. The second Mrs. de Winter is not welcomed by the housekeeper Mrs. Danvers who is still profoundly devoted to the first Mrs. de Winter, the late Rebecca. 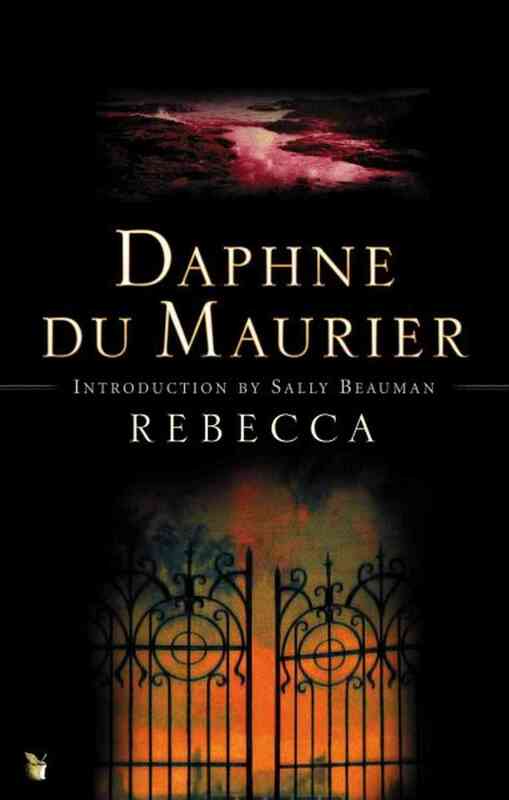 The story is about how the second Mrs. de Winter survives in Manderley amidst the ghost of Rebecca. No, she's not a literal ghost, but every nook and corner of the mansion is possessed by her. And Mrs. Danvers doesn't spare a moment to remind the new bride of this. When I started reading, I thought that the book should have been named after the second Mrs. de Winter, after all it is her struggle and her journey and she is the heroine of the book. Then why was it called after a dead woman? I was about to get all my questions answered. Last night I dreamt I went to Manderley again. Apart from Manderley, this book is known for this opening line. Manderley is a dream, that did not leave me throughout the duration of reading this book. The author paints a beautiful picture and you can feel the strong walls of the foyer as you stretch your hands. You can smell the flowers and the picturise the garden where the tea is often laid. This estate forms the perfect setting for the melancholy in the story. You cannot help but feel sorry for the second Mrs. de Winter. She tries her best to stand on her own but Mrs. Danvers' unhealthy obsession with dead Rebecca soon leads her to believe that she does not hold a candle to the perfect Rebecca who was the perfect wife to her husband and the perfect mistress to the staff. The new bride is also convinced that her husband is still in love with Rebecca and is now regretting his decision of marrying her. A boat accident is what killed Rebecca, but when the boat surfaces along with a body something doesn't feel right. This is when Maxim takes center stage and reveals his part of the story, or rather the sole element of mystery in the book. But does this do anything to the story? The ending is as melancholic as the story is. Love, ego, devotion all take a roller coaster ride throughout the story with a couple of other characters thrown in. Only towards the ending of the story you would realize why the book is named after the deceased heroine and not the survivor. Sadly, the survivor remains unnamed and we never know if she is the winner or not. Will she be able to rise from the ashes that now Manderley is, one would never know. I loved the book. Totally and deeply. There is nothing extravagant about the story apart from the estate it is based in. While you think that maybe this is a love story, the author brings in dangerous devotion to it. While the relationship shared by the newly weds is not clearly mentioned, there is always a question if love was involved or not. Somehow, this uncertainty works for the story. Obviously, Rebecca is the most fleshed out character here and once you know the real her you will know why. Maxim de Winter is a mystery throughout the story and you can never understand what he is thinking. He's oblivious to his new wife's struggles when it comes to the housekeeper. The housekeeper, Mrs. Danvers on the other end is the only character whose intentions are clearly known throughout the story. She's the one who ignites the spark in the climax. A very well deserved one. The book is really long and at times the writing is heavy, but it comes together beautifully. The writing style is different and many may not like it, but after a while I got used to it. You cannot predict the story and each of the characters hold out on their own. The new timid bride, clearly in the shadow of Rebecca, slowly begins to open up and find her voice. But in the end, it is Rebecca who remains the true heroine. Verdict: A long read, but read it just for the persona of the lead character. Yes, Rebecca. I have heard of this book but never seen or read it. It does sound interesting and 5 stars is a great review. Sigh --- you are making me add more books to my ever-growing list. One day maybe, I'd have read all the books I add to that list! I read this book as a teenager and loved it! There's also a movie from 1940 that was excellent. Thanks for the review. I've not read this book. But judging from your review this sounds like an interesting book. Will try to read it.. I have written a lot about du Maurier and she, and her houses, have figured under F and M in my challenge this year. Rebecca and a number of her other books are on my bookshelf. In my tbr list for the next year! I haven't heard of the book, but since so many people loved it, why not? You took me back to my teenage years. This is one of my favourite books. I've read almost all of Daphne du Maurier's books and my favourite of all her books is Jamaica Inn. Here's an embarrassing confession: I got the PDF off the internet, and turns out what I read was a sort of abridged copy and not the actual book. When I read it, I was like, "Why is this book such a big deal?" Later I got the real, unabridged copy and I was like, "Ohhhhh, this is good." That was some really good prose. Really, really, creepy, good prose. Like others I too had read this one as a teenager. It was too depressing for me. After that even saw a lot of movies and TV short serials based on the book. 5/5... Wow! That's amazing...have added it in my TBR! Thanks for sharing! Somehow I never finished this book, probably because it had to be returned to the library or something. I will get hold of it again and read it!